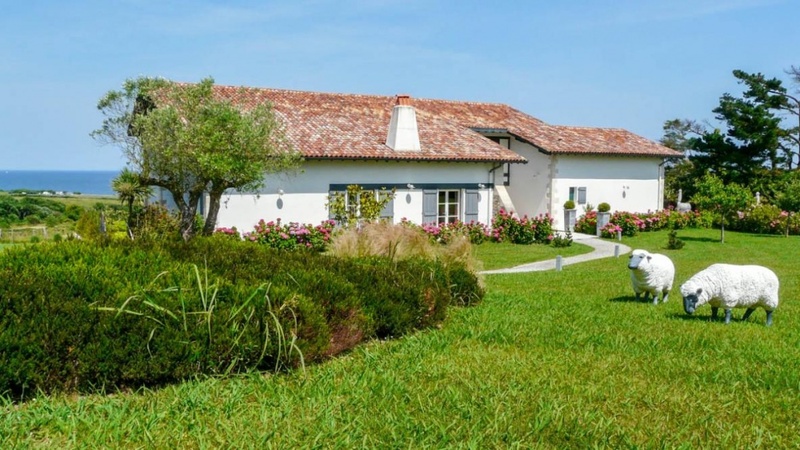 Situated in a beautiful rural setting in the Pyrénées-Atlantique, just a short drive from the beautiful town of St Jean de Luz, this charming traditional farmhouse offers guests a peaceful haven from which to explore this first-class holiday destination. Surrounded by acres of luscious meadows, and views of the ocean beyond, La Vue du Berger offers up to 12 guests the opportunity to relax and unwind in total comfort. Tasteful modern décor abounds throughout the villa, with neutral tones giving a fresh sense of style. 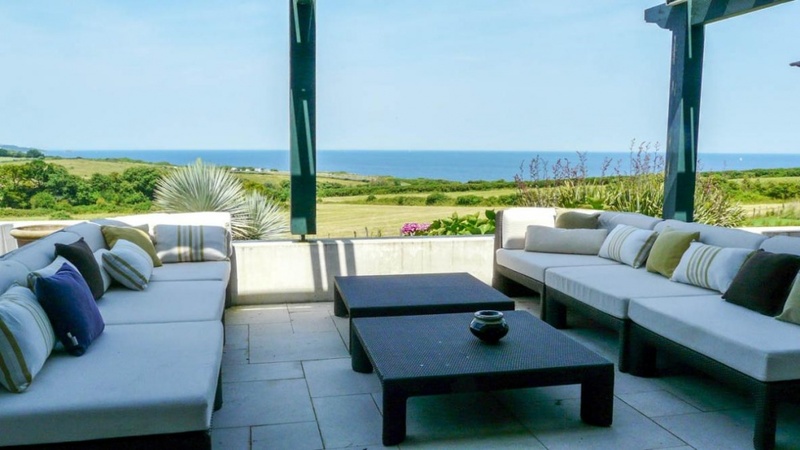 Greeted by a vast open plan living space, you’ll enjoy a superb dining area bathed in natural light through its many French windows, and a delightful living area with plenty of comfortable seating and doors opening onto the marvellous terrace with stunning ocean views. A well-equipped kitchen with a breakfast bar is located just through the main living space also benefiting from doors onto the terrace area. 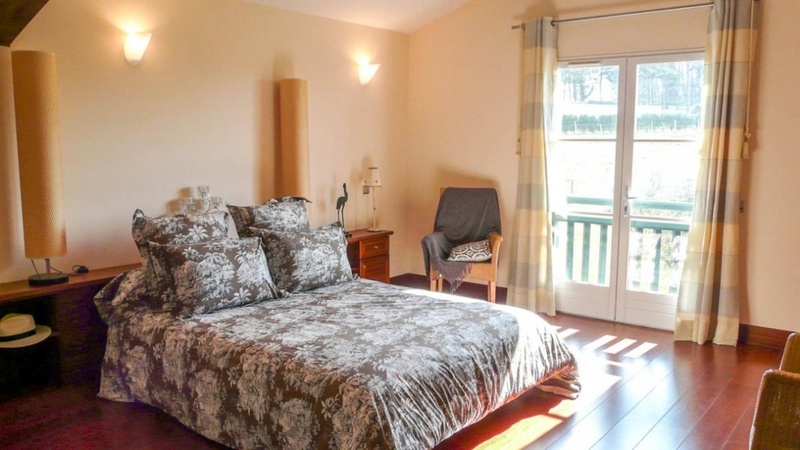 The 6 bedrooms are all attractively finished with contemporary furniture and modern artwork. The lovely master suite, located on the ground floor, offers guests some privacy away from the other dwellings, with an ensuite bathroom. 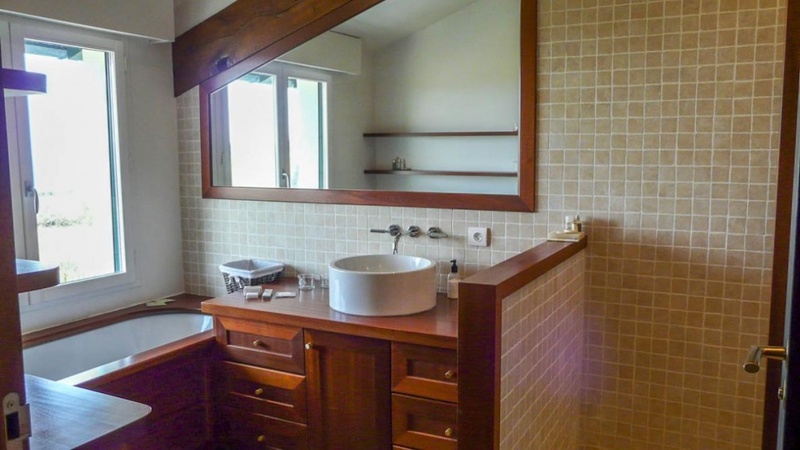 The other bedrooms can all be found upstairs, some of which also enjoy ensuite bathrooms and balconies looking out onto the luscious green fields or glistening ocean. The vast 7000m2 of pretty garden and country meadows that encompass the property, present a thoroughly picturesque setting where you’ll be able to relax in total privacy. 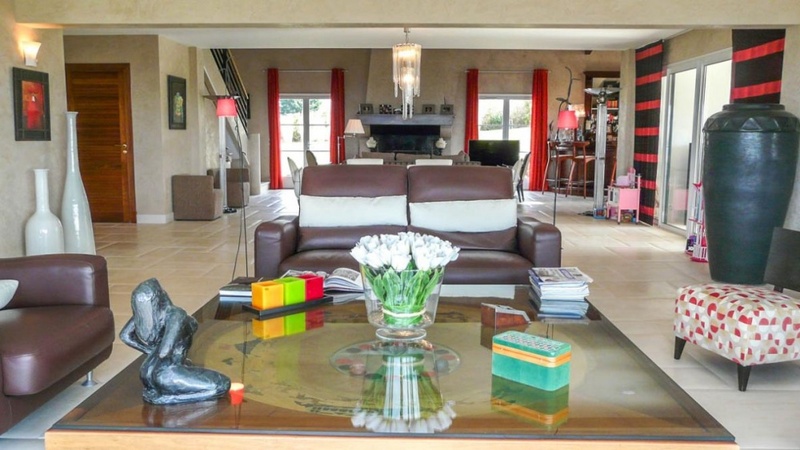 In addition, the large terrace area is a fantastic space in which to entertain, or simply enjoy a quiet morning coffee enjoying the stunning vista that this villa offers. With a shaded seated area as well as a large dining space you can enjoy those stunning panoramic views at any time day or night. Just a few steps down, banked by an abundance of bright flora, you’ll find a wonderful heated outdoor pool to cool off in, on those warm afternoons. 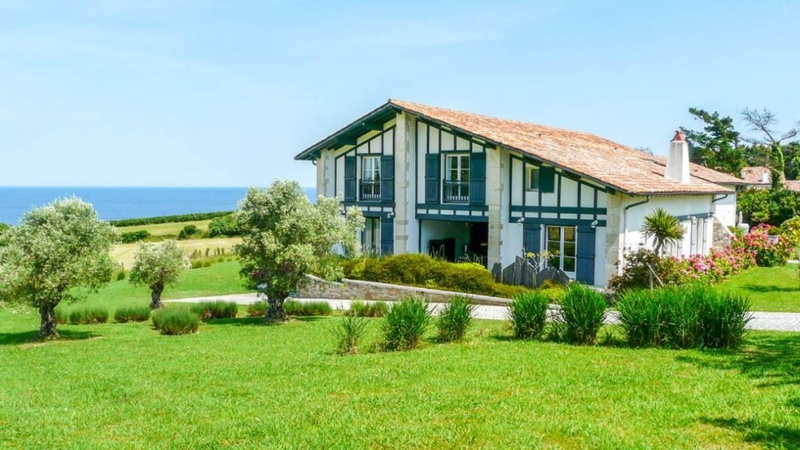 The immediate area outside of the villa provides plenty of opportunity to explore by foot the wonderful rural surroundings, and rugged coastline. Whilst only 7km away you’ll find the pretty seaside town of St Jean de Luz, a less touristy town than Biarritz with much of its vibrancy and some fantastic family focused beaches. The medieval town of Hendaye is 7km south of the villa, on the Spanish border, sporting the impressive Château Abbadia which is well worth a visit. Its 3 km long sandy beach offers something for everyone, including families and surfers alike. 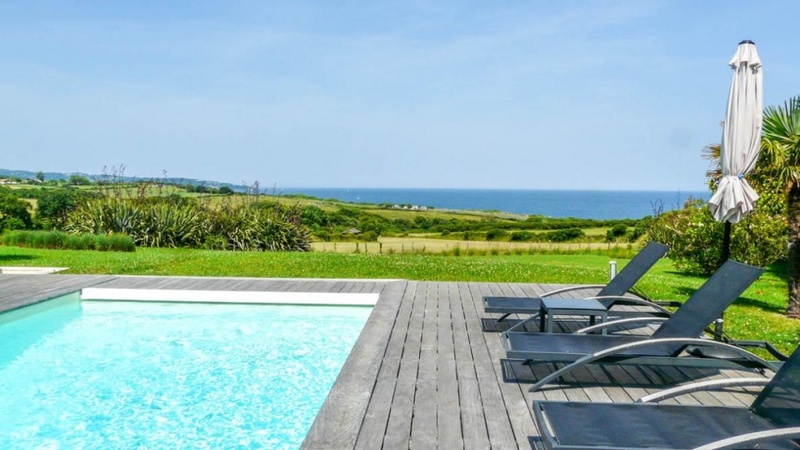 Villa La Vue du Berger offers a truly rural setting just moments from the dramatic Atlantic coastline, with the shadows of the Pyrénées providing the perfect backdrop. 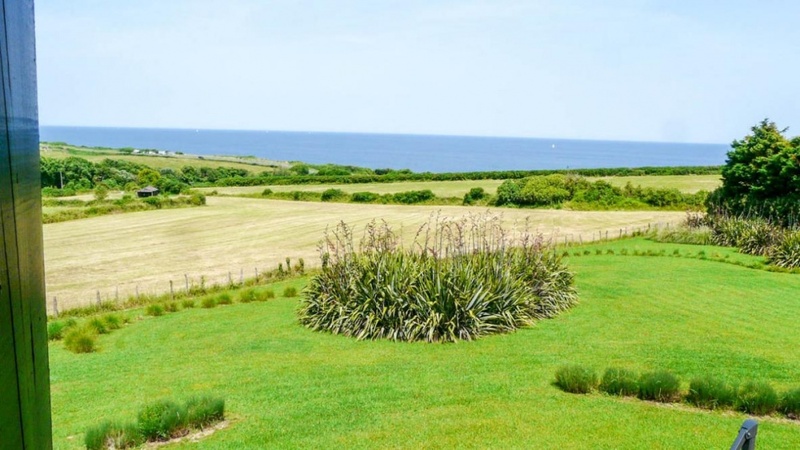 The immediate area around the villa is luscious countryside, fantastic for exploring by foot, with stunning coastal hikes just a few minutes’ drive away. 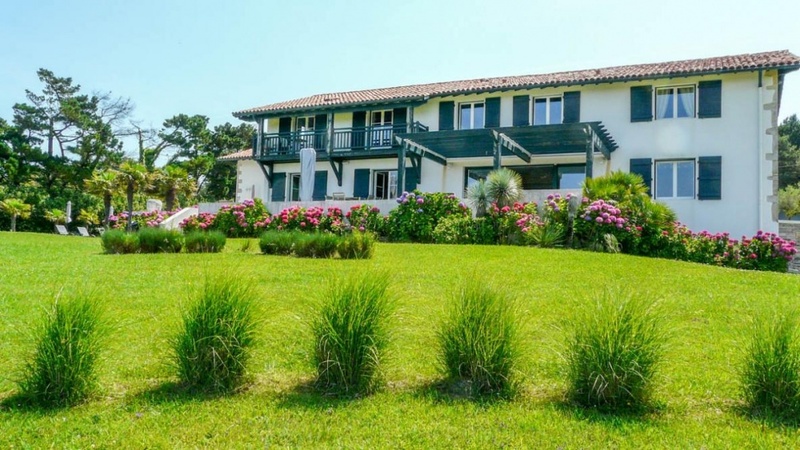 You’re ideally placed directly in between the pretty bustling towns of Hendaye to the south and St Jean de Luz to the north, both accessible in under a 10 minutes’ drive. The sprawling medieval town of Hendaye 7km south, sits on the Spanish border, where you’ll find plenty to amuse the whole family. Split into two, the medieval Basque old town is situated on a hilltop, boasting some fantastic views, beautiful Basque style architecture, and windy lanes in which to explore the local shops and restaurants. You can also access the impressive Château Abbadia on the outskirts of town, which is well worth a visit. Down below in the peninsular you have a large bay with a modern marina and sailing club, and a beautiful 3 km stretch of white sandy beach along the Atlantic coast. So, whether you’re spending an evening high rolling in the marina casino, enjoying a surf lesson on one of its 4 beaches, or even taking a boat trip over to Spain, you’ll find an abundance of activities in this lovely town. The nearest beach to the villa can be found in the small seaside resort of Ciboure, the birthplace of the composer Maurice Ravel and home of artist Henri Matisse. Ciboure will charm visitors with its old town full of stone and timber-framed houses, its picturesque fishing port and its bustling Sunday morning market. The beach is fantastic for swimming and sunbathing, watching the boats come and go under the watchful eye of Fort Socoa in the distance. 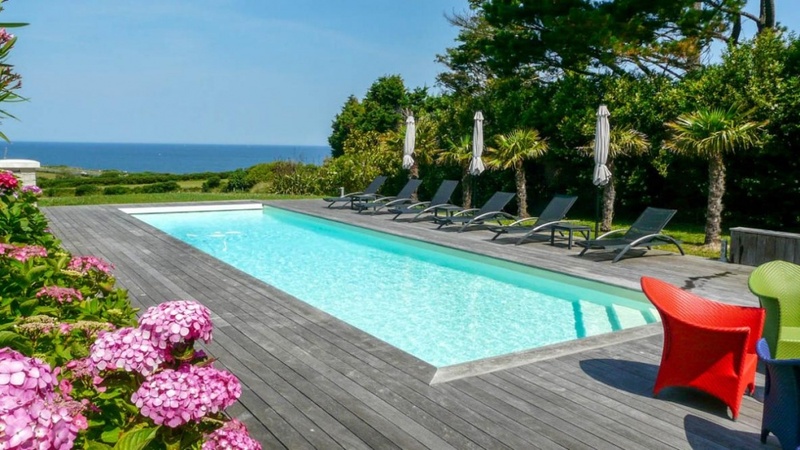 If you’re after the hustle and bustle of a vibrant coastal town without having to navigate round the many tourists that frequent Biarritz, St Jean de Luz will provide everything you could want just 7km north of the property. Originally a small fishing port at the mouth of the River Nivelle, it later became a fashionable resort for well-to-do French, English and Spanish tourists in the late 19th century. Now you’ll find a quintessential Basque seaside town – complete with atmospheric narrow streets, a lively harbour and a sparkling sandy beach. Try some fresh seafood at La Boete, one of the many seafood restaurants in the streets surrounding the Port, stumble across a local orchestra performing in Place Louis XIV, enjoy one of many kid’s clubs along the Grande Plage beach or for the more experienced surfer head north to Acotz beach. 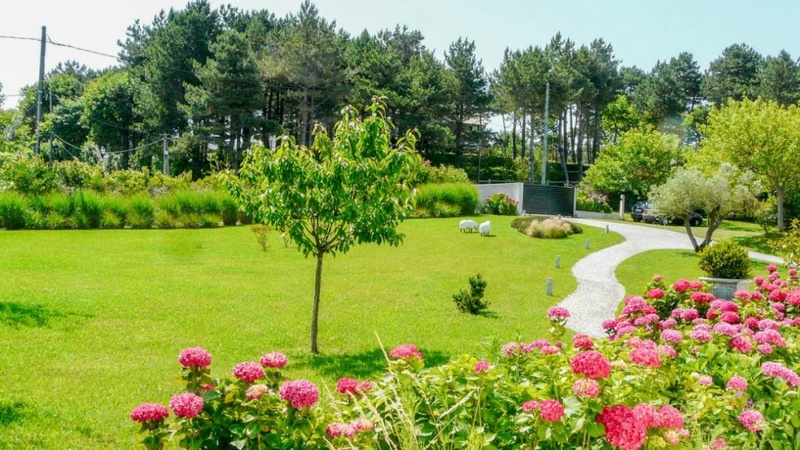 With quad bike excursions, hikes and golf being just a few more activities you can try in St Jean de Luz, you’ll never get bored, and with a number of relaxing spa’s in town you can recover in luxury. Further north, around a 20-minute drive away, you’ll find the lively town of Biarritz, an elegant seaside resort dating back to the 19th century when aristocracy built their summer residences along this part of the coast, including the well-known Hotel du Palais, built by the wife of Napoleon III on the famous Le Grand Plage. You will find some superb restaurants in the Port des Pecheurs, the former fishing port, where ordering some beautifully fresh seafood is a must. A lovely atmosphere can be found around the Port Vieux where you’ll discover a tiny sheltered beach loved by locals and the town’s main shopping street, Rue Port Vieux. Beautiful Art Deco buildings can be appreciated all around the town and especially along the beach, including the casino (also home to a theatre and swimming pool) and the Aquarium which is a must for sea-lovers or families. The fantastic picturesque villages inland should not be overlooked, with the majestic Pyrénées on your doorstep you have a great selection, including two of France’s Plus Beaux Villages; pretty Ainhoa (30km) and Sare (22km), where you can take the old wooden train up to the summit of La Rhune, one of the most dominant peaks of the Pyrénées, where there are some restaurants with incredible views as well as hiking opportunities.